Danced While the Sky Crashed Down with Rally and Broad Mar 20, Bongo Club. Size is Everything as part of National Flash Fiction Day. 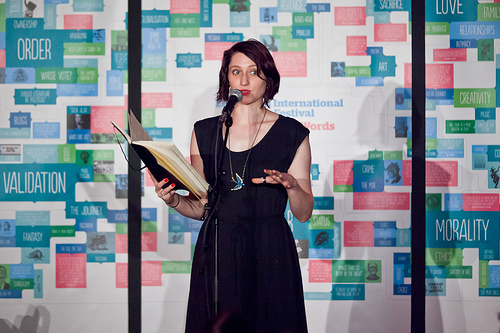 Adored reading as part of a Magic Words Unbound event by Illicit Ink at the Edinburgh Book Festival. 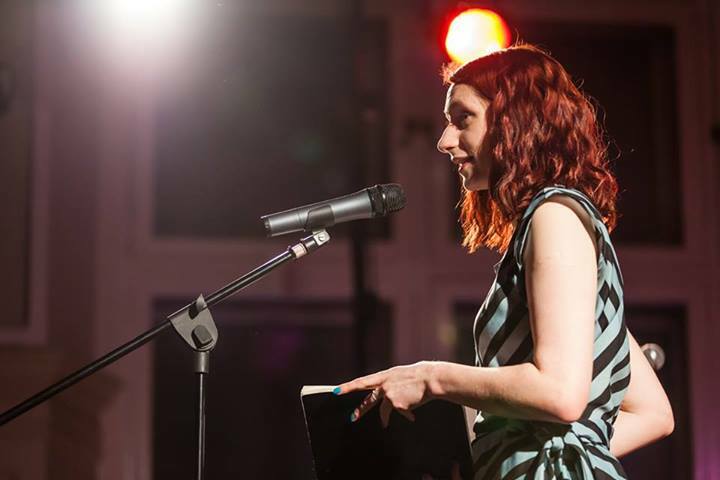 I read at Story Shop as part of the Edinburgh City of Literature at the Edinburgh Book Festival. 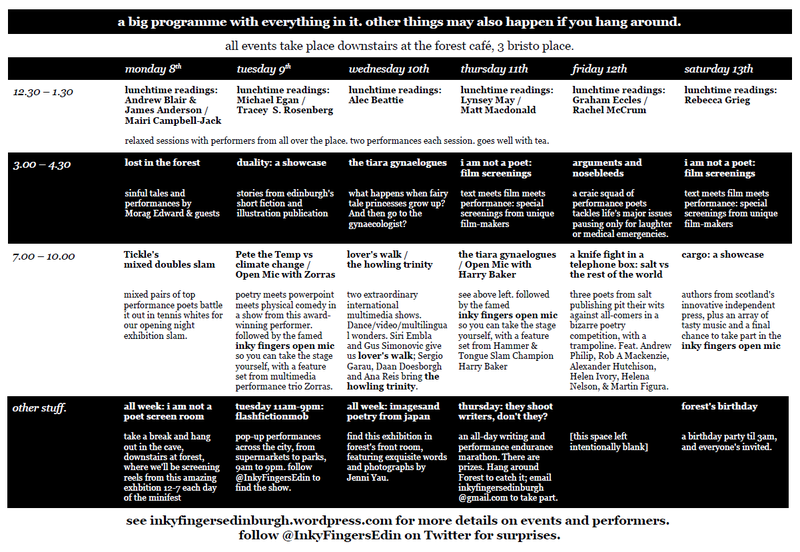 I also joined the Inky Finger crew to read as part of their mini fest. I read a creepy story along with the Illicit Ink crew. I discussed online and paperless opportunities for writing at Portobello Book Festival. Had an excellent time reading for audio magazine 4’33” in London.